Meet the professionals at Van Zeeland Nursery & Landscape. I’m Joe Meulemans. My wife, Sandy, and I are Kaukauna natives, but have lived in Appleton/Grand Chute for 25+ years. We have two young adult children. I began working for Van Zeeland Nursery as a seasonal employee in the spring of 1983. After working through that summer, I decided to enroll at Gateway Technical College in Kenosha in their horticulture program with an emphasis on Landscape Design. Upon graduating in 1985, my employment at Van Zeeland Nursery continued, but in a permanent position as a Landscape Designer. 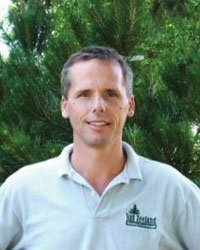 Steve is a lifelong resident of the Fox Valley who discovered his passion for Gardening and Landscape Design as a teenager. He started gardening and yard work for a neighbor, who became his mentor. This inspired him to pursue horticulture in college, and he received his B.S. in Horticulture from UW-Madison. 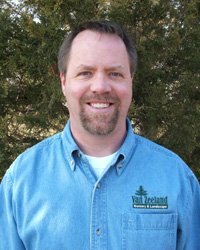 Steve began working for Van Zeeland Nursery in March, 1988. His first position as an Installation Crew Foreman prepared him for the transition into Landscape Design. Being on the crew not only allowed him the luxury of learning all the details of a design from the ground up, but also gave him the satisfaction of seeing the real “before and after” of each project. Since 1990, Steve has enjoyed working with homeowners to develop a personalized Landscape Design that suits their individual taste, style and budget. Ryan is originally from the Western side of the State where he gained valuable experience working on a landscaping crew and as a crew foreman. 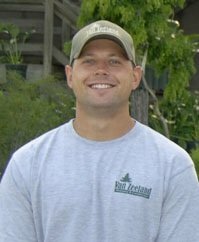 In 2004, Ryan graduated from Rochester Community and Technical College with an Associate Degree in Horticulture and moved to the Fox Valley to work with Van Zeeland Nursery. Ryan is married to his wife April and they have been blessed to welcome 2 children to their family – the first a beautiful baby girl in 2011; the second a dashing baby boy in 2012. Ryan and April also have two dogs – – Millie (Basset Hound) and Mollie (Miniature Schnauzer). When he is not rooting for the Badgers or Cubs (we try not to hold that against him), Ryan enjoys working outside, doing landscape designs, and diagnosing plant disease/insect problems. As our Nursery Manager and Designer, Ryan can say that he is able to do all three every day. Stop in soon and see Ryan and the rest of the Nursery crew. In the Nursery, our team is responsible for the maintenance and care (including watering, insect and disease control, and pruning) of all plants in the Nursery; upkeep of plant displays; maintenance of the Nursery yard and facilities; as well as providing design, plant and installation expertise to all of our valued customers that shop at the Nursery. If this staff does not know the answers, or does not have the time to assist a customer, they will find a Landscape Designer or Management individual that may know the answer or have the time to help. As for the Landscape Crew, our team will be split into several smaller, more efficient teams and work on removal and/or installation projects that are coordinated by a Landscape Designer. By assigning a specific crew to a Designer for most of the year, we are able to ensure that this Team understands the wants and needs of those customers who have entrusted us to perform work in their yards. In addition to performing all of the required landscaping tasks at the highest level of craftsmanship, these individuals will always do their best to minimize impact on a customer’s previously finished landscape. The landscaping foreman will also review all plant care and maintenance with a customer prior to leaving, as well as answer any other questions that a customer may have. In addition to all of the above responsibilities, the Nursery and Landscape Crews will also perform all mulch, soil, sand and plant deliveries that have been scheduled at the Nursery.